Sonny Thatch, a Staff Attorney at the Legal Aid Society (LAS) of Metropolitan Family Services, can help. 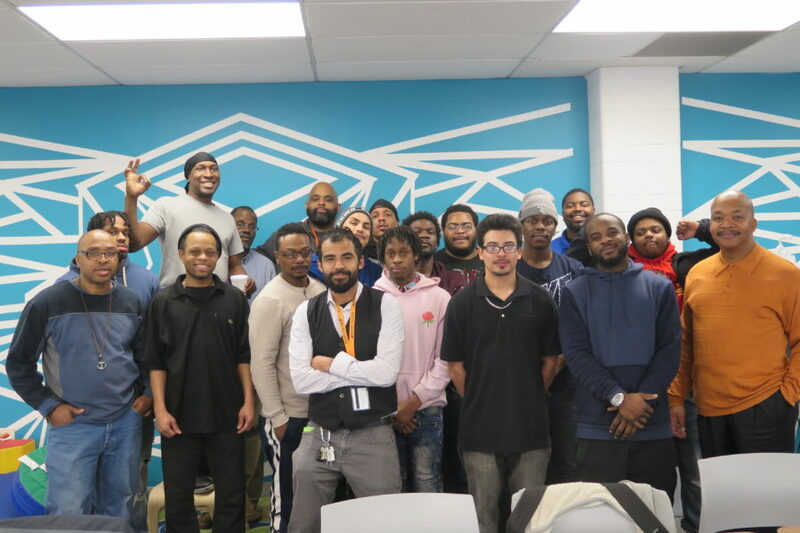 As part of a new initiative between Young Fathers and LAS, Sonny Thatch provides vital Know Your Rights presentations to participants and holds 1-on-1 consultations on individual legal matters, working closely with Managing Attorney Melanie MacBride. “During those presentations, so many men would raise their hands and say, I have this issue, I have that issue, but I don’t know where to go,” Sonny says. “They want more direct services, is there something we can provide?” This feedback jump-started the new initiative and put it on a path toward future growth. “We’ve always known there was a need for more direct legal services,” says Program Supervisor Doug Brown, “but resources have been inconsistent and scarce.” Based on Sonny’s feedback and conversations with the dads in the program on specific areas of interest, the Young Fathers team worked with the LAS team to develop a plan for the Young Fathers’ legal clinic. Miguel Keberlein, Executive Director of the Legal Aid Society, and Laurie Sedio, Executive Director of Metropolitan’s Midway Center, had already been meeting to develop more comprehensive legal services for our young fathers, so together the group was able to identify enough program funding to launch the clinic. In Sonny’s 1-on-1 sessions, he talks through the dad’s issue, and determines if it’s something he can resolve himself. If so, he can draft pro se motions or petitions (for men representing themselves in court), review and explain legal documents, and offer guidance on how something may develop in court. If the matter isn’t something Sonny can address, then he’ll refer the dad to LAS or another agency for additional support. Sonny’s own place at LAS feels like a natural fit. 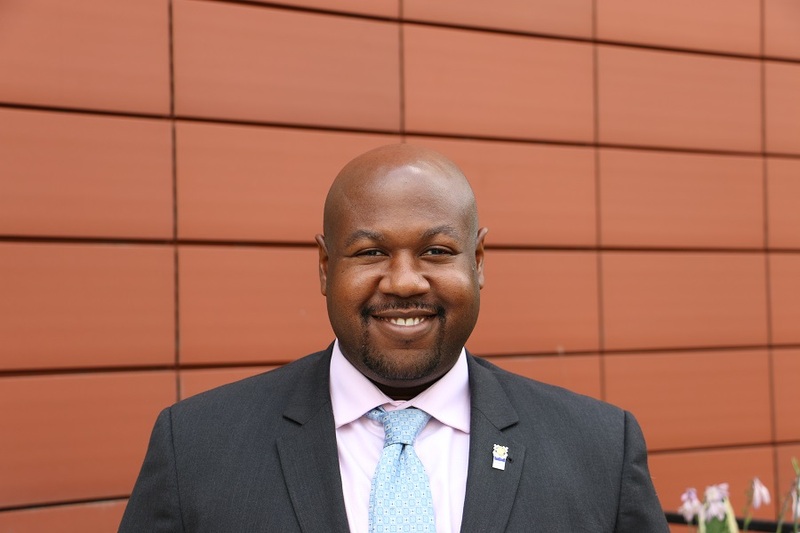 He spent time in solo practice, through the Chicago Bar Foundation’s Justice Entrepreneurs Project, and before that he clerked at the Domestic Violence Court, where LAS has a strong presence. His solo practice in Family Law gave him the skills and experience to handle many of the issues that arise in this legal clinic. As someone who “likes interactions with people as opposed to documents,” Sonny landed with LAS when he left solo practice. “I like the human connection,” he says. Building on a partnership between Young Fathers and LAS, which has led to supports including the Know Your Rights presentations and a “warm handoff” referral system for dads in need of legal assistance, the Young Fathers’ Legal Clinic provides another key touchpoint for the young men in the program as they work toward economic stability. Eventually, Doug says, their goal is to grow the clinic in ways that allow for more services and pro bono opportunities for volunteers. Sonny’s consultations often involve advice on re-instating driver’s licenses; modifying child support payments; gaining additional parenting time with children; changing residential placement for their children; and obtaining expungements & sealing records. Legal processes are often confusing and don’t lend themselves to non-attorneys being able to navigate the system confidently, Sonny says, so he’s able to explain to dads where they may have gone wrong or what they can expect moving forward. “[The men] come in with various pasts,” Sonny says, that may be impeding their progress toward a better job, better housing, or a better position to petition the court. Often, they want to spend more time with their children and support them to a greater extent – and are capable of doing so, thanks to the parenting education and job training they’ve received through Young Fathers.